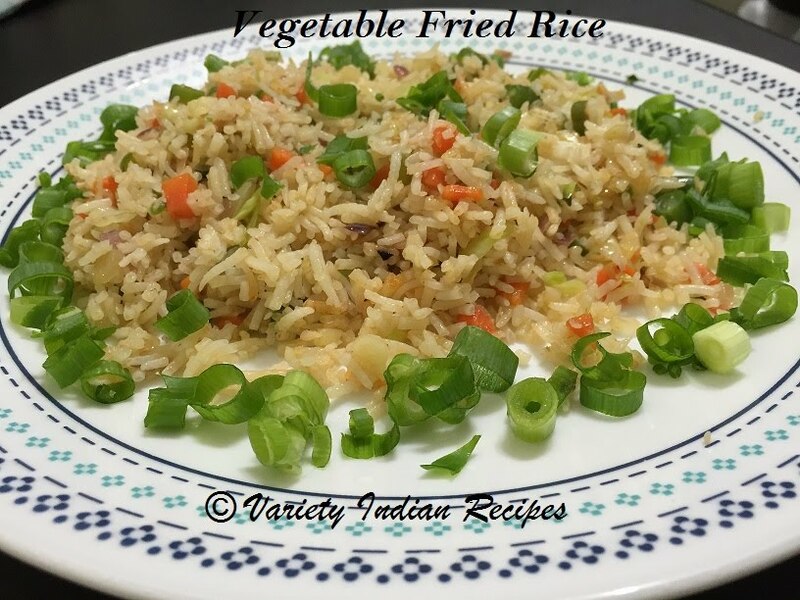 Vegetable Fried Rice posted here is a Indo Chinese recipe. Fried rice is a dish where steamed rice is stir fried with vegetables and mild spices. Left over rice also works great for preparing the Vegetable Fried Rice. This is a universally appealing dish, and using fresh vegetables makes it a healthy dish too. Take oil in a pan, add the finely chopped onion, ginger, garlic and celery and fry. Add carrot and beans, add little salt for the vegetables to cook, saute them until they are crisp. Add soya sauce, pepper and stir well, now add the cooked rice, also add the required amount of salt (Note a little salt was added already for cooking the vegetables, so add the salt accordingly).